Redbet Bonus Code 2019: Type WE…. Create your account on Redbet and enjoy a welcome bonus up to £200 thanks to the official bonus code. £10 Deposit. Place 5x£10 bets. Do you want to open an account with a different bookie or a just totally new in the world of sports betting? Use the bonus code in order to get a nice welcome offer at RedBet. Up to £200 for new players at the online casino as well as a weekly £20 or £30 bonus for punters are waiting for you. Let’s start with one of the most important parts: how do you have to proceed if you want to make a full advantage out of the welcome offers? We guide you step by step through the process of creating an account at RedBet, the first deposit and the bonus requirements you have to complete in order to cash out your bonus amount. First things first: at Redbet it’s very easy to profit from their generous welcome offers for both the online casino and the sportsbook. But be aware that it’s just allowed to a single account per household and IP address. Therefore, you can profit only once from the offers for new players and punters. Don’t try and register yourself more than once, otherwise, you risk your complete suspension of their website. Open the website of RedBet, either from your desktop or mobile device. Then you will see the button “Join now”. Click on it and you will end up directly in the registration form. Here, you just have to enter a few personal details, such as your name, country of residence, currency, address, a valid email address and your date of birth. Now, you just need to accept the Terms and Conditions and click on the button “Join now”. Now, you should find a welcome email from RedBet in your inbox. Open it and click on the provided link. Now you have completed your registration and you are an official member of the RedBet online casino and sportsbook. If you want to make use of the online casino at first, then you need to make three different deposits in order to benefit from the full bonus amount. Don’t forget to enter the required promo code when you do your deposits. First deposit: 100% bonus, max. amount is £50 + 100 free Spins (for the slot “Warlords) using the bonus code in the coupon. Second deposit: 100% bonus, max. amount is £50 + 100 free Spins (for the slot “Starburst”) using the bonus code in the coupon. Third deposit: 50% bonus, max. amount is £100 + 50 free Spins (for the slot “Gonzo’s Quest”) using the bonus code in the coupon. In order to benefit from the bonus, you need to click on the button “Claim” in order to activate the offer. The best thing is, that this isn’t a one time offer – oh no, you get this offer on a weekly base. Pretty good right? But what exactly do you have to do after you claimed one or more of the welcome offers? You can repeat this operation twice, you'll still enjoy the same bonus. The free bet will be credited directly to your player account. In order to be able to cash out your bonus at the end, you have to fulfill a few bonus requirements. You have to place your bonus on one or more bets with minimum odds of 1.80. This qualifying bet must be placed within a time frame of 10 days after you have the claimed the offer. The qualifying bet must be settled within 7 days after you have placed the bet. Afterward, RedBet will credit you with a £10 or £20 free bet. Here, you have no wagering requirements. 2-way markets don’t count towards the completion of the bonus requirements. Deposits with Neteller, Skrill or Paysafecard don’t qualify for this bonus. Note, that this is a weekly offer. Therefore, you can benefit from this bonus each week. Just deposit a weekly amount of £50 or £100 and you can get a new bonus on a regular base. This section is going to be very interesting for you once you want to do your first deposit in the sportsbook or online casino. We can already mention one good thing in advance: RedBet doesn’t charge you any fees for deposits or withdrawals. That’s already pretty good and will save you a lot of money. But note that there is a currency exchange fee of 1.5% for deposits if you use any currency other than Euro. The minimum deposit for all the banking methods is 10 Euro (or the equivalent amount in £). The minimum withdrawal is 20 Euro (or the equivalent amount in £). Before you make your first deposit, you have to know that you mostly have to use the same payment method for both the deposit and the withdrawal. Also, deposits made with Neteller, Skrill, and Paysafecard don’t qualify for the welcome offers. RedBet can definitely not compete with the big players in the industry but should have enough choice for the standard punter. The odds lay between 92% and 94%, which is pretty good. You can even expect up to 96% at special events, such as the Football World Championship or Champions League. Since 2010 RedBet also provides the opportunity to place live bets. 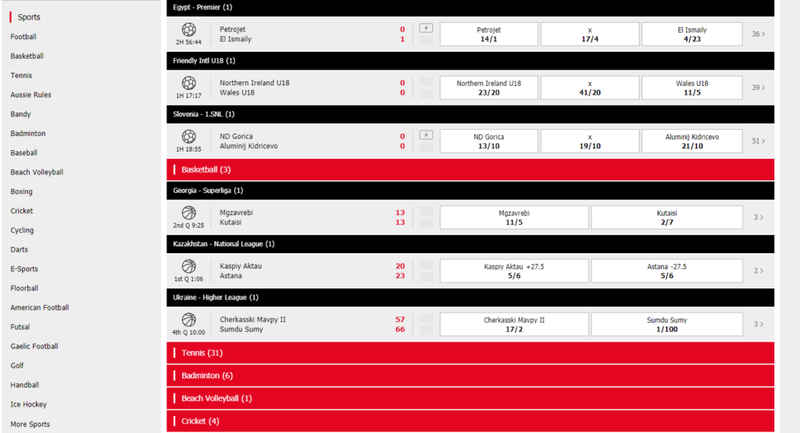 Here you even have a special feature: RedBet Superlive. This feature is available for football matches. In the first half, you can switch sides or double your odds. First things first – is Redbet actually a trustworthy provider of online casino games and sports betting? We can definitely say yes. The company is licensed under the law of Malta and the UK and was founded in 2002. That said, Redbet had plenty of time of gaining a lot of experience in the industry. Therefore, they know exactly, what their customers want. Players can either choose to use the Instant Play option or download the online casino. There are 3 different areas in the RedBet online casino: the Live Casino, Casino Blue, and Casino Red. Live Casino: Here you can play via live stream Roulette, Baccarat, and BlackJack with real croupiers and dealers. You can even interact with them directly, which gives the whole experience a personal touch. 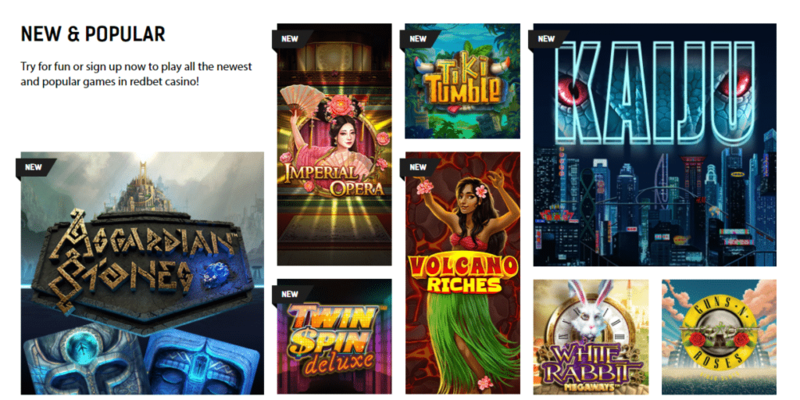 Casino Blue: Here you can find games provided by Microgaming. You can play your favorite slots. RedBet provides you not just with the standard slots, but also offers a huge choice of Jackpot and progressive slots. These days more and more people prefer it to play their favorite games or place their bets directly on their smartphone or tablet. Therefore, it gets more important for the casinos and bookies to provide a decent mobile experience. RedBet currently doesn’t offer a native app but provides a mobile-optimized website. That means: when you open the platform from your tablet or smartphone the website automatically changes its size in order to work perfectly on the smaller screen of mobile devices. The good thing is, that you have all the features you normally use on the desktop, also available in the mobile version. Plus, all the bets you place and games you play count towards the completion of the bonus requirements. The navigation is easy and user-friendly, the design is clean. If you have any questions or if there are any problems occurring while using their website, you have the opportunity to contact the customer support of RedBet. The fastest way is the live chat. Here, you can usually talk to a live agent within a few seconds. In total, RedBet is a decent bookie and online casino which definitely has its advantages, but also its disadvantages. The welcome offers for both the sportsbook and the online casino are really good. The nice thing about the sportsbook offer is, that it’s on a weekly base. That means, that you can profit every single week from this bonus. The online casino offer is generous, especially the bonus requirements are easy to complete. RedBet does a really good job here. The choice of online games is thanks to the collaboration with NetEnt and Microgaming really big. Players will find all their favorite slots, not just in the standard but also in the Jackpot version. Big winnings are absolutely possible in this area. The live casino is really good. You even have the opportunity to interact directly with the croupiers and dealers via live stream. That adds a realistic feeling to the live casino experience. The sports betting portfolio could be bigger. RedBet can definitely not offer the same amount of sports markets as the big players, such as Ladbrokes or William Hill. But the average punter will find the usual matches available to place bets on. The live betting is widespread, you are going to find a wide selection of matches in this area. RedBet currently charges a currency exchange fee of 1.5% when the currency you use is not EUR. This might not seem much but adds up pretty quickly once you deposit bigger amounts. The choice between the banking options is very small. Especially because the e-wallets don’t qualify for the welcome offers. The customer support is only available within normal business hours. Especially during the night players and punters have no possibility to reach the customer support of RedBet. Currently, there is no native mobile app of RedBet. Genting Casino: Up to £300 is there for new players at Genting. The customer support is available 24/7. There is both, a native app and a mobile-optimized website. Bet365: Nice welcome bonus and a 24/7 customer support. 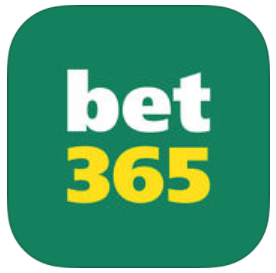 Bet365 has a wide range of banking options and a native app. Gala Casino: The classic welcome bonus is £200 at Gala Casino. It also has a native app for its customers.